Glioblastoma, the most aggressive brain tumor, began to disappear when patients started treatment for chronic lyme disease. That was my hypothesis ten years ago: the etiology of glioblastoma may begin with a suppressed immune system and hypoxia (low tissue oxygen) created by Borrelia burgdorferi, co-infections, along with a history of head trauma and metal, chemical and/or emotional toxicity. And glioblastoma may resolve upon treating chronic lyme disease and its associated conditions. In 2006, I began working with my first glioblastoma patient, who to my surprise, I diagnosed with chronic lyme disease and multiple chronic infections of the brain. Despite surgical resection of the brain tumor, radiation and chemotherapy, the tumor continued to grow until the onset of a holistic treatment approach for chronic lyme disease began. Within one year, the tumor disappeared and the patient was tumor free for seven years until he was reinfected by a tick bite, instigating the return of the tumor one month after the tick bite. This was clear clinical evidence that chronic infections involving Borrelia burgdorferi may play a large role in the etiology of glioblastoma. I needed further clinical evidence to solidify my hypothesis. Several patients with glioblastoma have since been diagnosed with lyme disease at Holistique Medical Center. The most recent patient is Dayna who at the age of 28 was diagnosed with an inoperable glioblastoma multiforme tumor. She began treatment of low dose chemotherapy with her oncologist, refused radiation therapy and chose to pursue alternative and adjunctive therapies here at Holistique. Again, we diagnosed her with lyme disease and a non-antibiotic treatment plan was created to address the infection and its co-infections, immunosuppression and associated toxicities and conditions. Again, the tumor shrank and was no longer detectable on PET scan within eleven months later. Because of the clinical results demonstrated by tumor shrinkage resulting from lyme disease treatment in every one of my glioblastoma patients, I was convinced that one of the major players in glioblastoma etiology was Borrelia burgdorferi. I now wanted pathological evidence. In October 2015, I met Dr. Alan MacDonald, a retired neuropathologist. Curious to know whether my clinical evidence matched pathological evidence, Dr. MacDonald agreed to analyze pathology slides of glioblastoma biopsies of five patients. What he found was astonishing! He proved my hypothesis and clinical evidence of ten years; he found the DNA of Borrelia burgdorferi inside the cells of glioblastoma tumors, using Flourescent in Situ Hybridization (FISH), in every one of the biopsy slides. My conclusion: Those patients fighting Glioblastoma multiforme (GBM) must be evaluated and treated for lyme disease and multiple co-infections. Non-antibiotic based chronic lyme disease treatment along with low dose chemotherapy may bring hope for these patients. On April 16th, 2016, I presented my clinical findings for successful treatment of Glioblastoma through the diagnosis and treatment of chronic lyme disease and its associated conditions at the 14th Annual International Integrative Oncology Conference in San Diego. 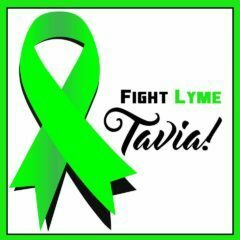 News Story on KVEW-TV 42, _Lyme Walk Event Coming up Sat, May 5th!!! STEVIA and LYME- the Magic Cure?